Top of the line features that no other blankets have! 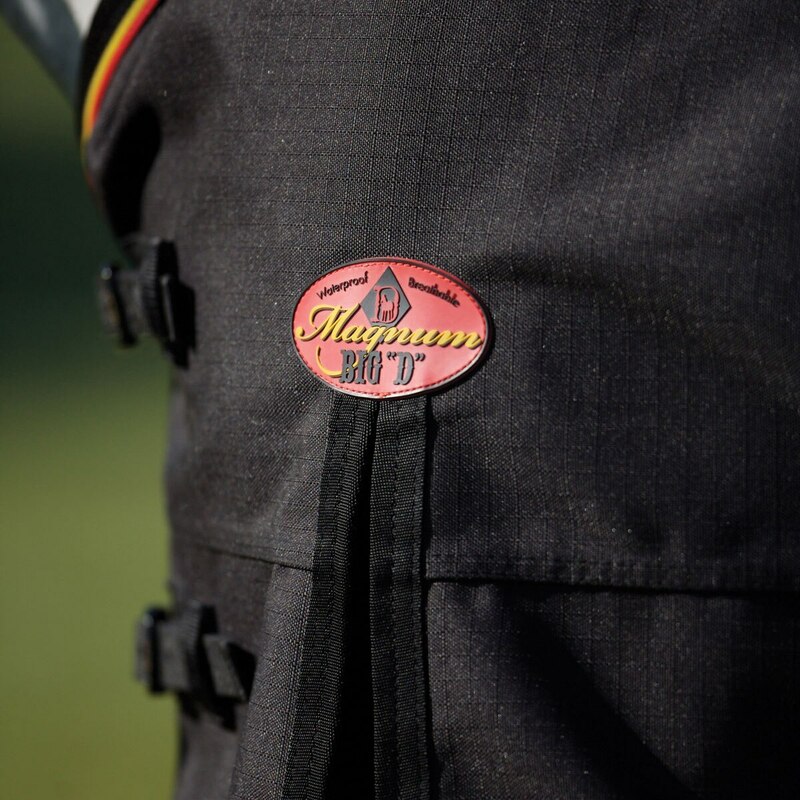 The waterproof 1200 Denier rip-stop outer with double sewn heat-sealed seams, reinforced stress points and tailored rear darts (not just folded) make this blanket wear like armor. Please note: We recommend placing embroidery on a surcingle. Embroidery on the body of the blanket may interfere with the blanket's waterproofing ability. Big D Magnum Turnout Sheet is rated 4.3 out of 5 by 63. Rated 5 out of 5 by Kaitlin from Love you big D products !! Big D blankets and sheets fit my quarter horses & my stocky OTTB like a glove. They are very durable use them year after year. Having multiple horses it’s nice not to have to buy new blankets every year. Rated 3 out of 5 by Clara from Rubbed pretty hard I had gotten my first horse and wasn't sure that blanket to get, so I grabbed this one. Throughout the winter, I had been noticing rubs on my mare's shoulders, keep in mind she is a 17hh warmblood. It also rubbed away some of her mane, and made her coat kind of fuzzy from the friction from the sheet. By the end of the winter, the rubs were very noticeable and took a while to grow back. This sheet isn't the worst, but I wouldn't recommend if you have a big horse like me. Rated 3 out of 5 by sandy from It's ok I have been searching for an effective rain sheet for a few years. This is the best so far but I still find it quite damp on the lining after rain. If my horse had no body heat...it would be quite wet. The tail flap is totally not waterproofed. But like I said it is better than at least 10 other sheets I have tried. I am keeping it vs returning. 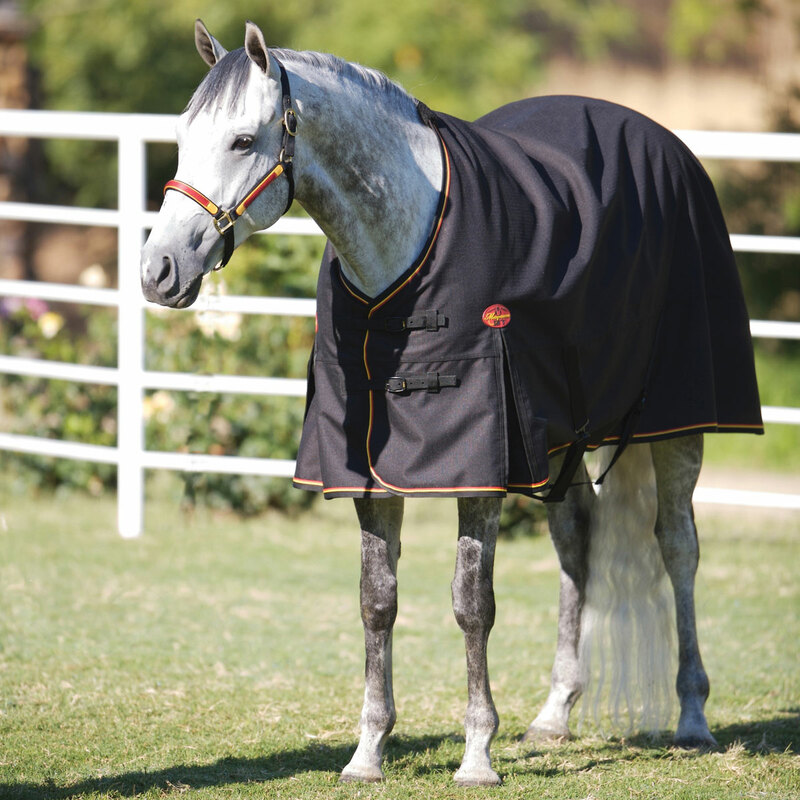 Rated 5 out of 5 by Jenny91 from great fit and function I bought the Big D Magnum Turnout Sheet because I have a Big D blanket that fits my horse well and I really like. The sheet has great style and water proof exterior. 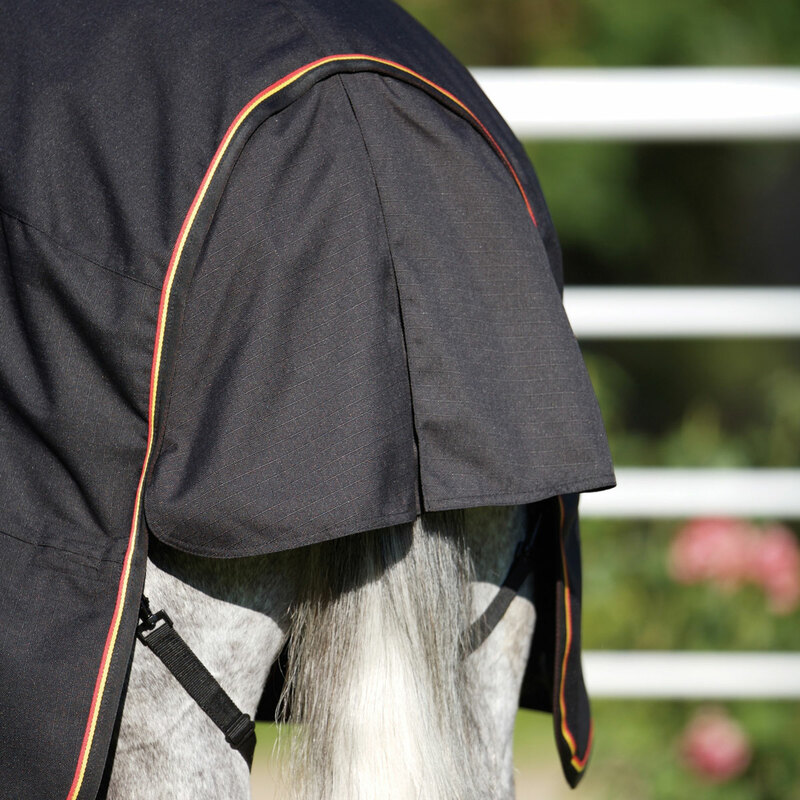 Unfortunately my horse is rather narrow and the cut of the sheet is not as tailored as the blanket and is more suited for a wider built horse. I returned it and purchased another sheet with help from customer service that better fits my horse. Rated 1 out of 5 by Cindy57 from I am sending this back buckel broke first time it was used. People at SmartPak were great about taking it back. Rated 5 out of 5 by Horse girl in Michigan from High quality turnout sheet This is my second purchase. This sheet is well constructed, durable + nice looking ! Fits my Quarter horse perfectly. Love it ! Rated 3 out of 5 by Julesjello from Magnum Blanket Review Having used numerous Big D stable blankets and sheets (which all fit),image my surprise when after three days I found hip and shoulder blanket rubs on my short backed APHA mare. I am very disappointed and had to order a Rambo. Rated 1 out of 5 by rachel8272 from poorly made I bought this sheet expecting it to hold up to outdoor use, but it did not. The horse I got it for only wears it during windy rain storms, and he is NOT a blanket destroyer, so it does not get a lot of use. Within a few weeks of receiving it the stitching that holds the buckles on the front unraveled, so I had to take it in for repair. A few weeks after that the stitching on the front corner binding also fell out, allowing a big loop to form. I didn't want to cut it off because that might void any warranty; luckily he didn't put a leg through the loop. When I cleaned it up after winter, I discovered the inner lining was tearing right where the Big-D logo & belly straps were stitched on (there's no heavy nylon backing like other brands have), the inner waterproofing was peeling off, the seam tape was cracked & peeling, and the hook side of the chest velcro had completely disintegrated, the tiny hooks were crumbling into plastic powder & falling off. The ONE good thing about this rug is it's still mostly waterproof over the back. If Big D would use better quality materials (cotton thread should NEVER be used in outdoor products) this would be a good rug, but they don't, so it's not. Rated 5 out of 5 by Wilbur from Lovely turnout sheet I love this sheet. It is durable, well made, rain proof, fits well and looks great.